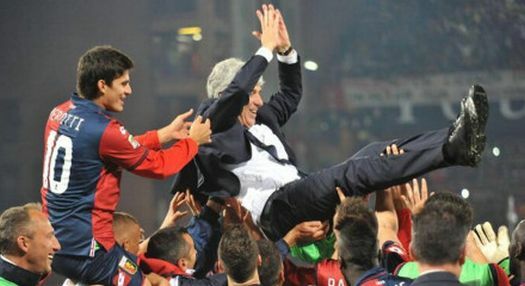 In a fantastic atmospher Genoa has beaten Inter with 3-2 and reached Europa-League football for the next season on the pitch. 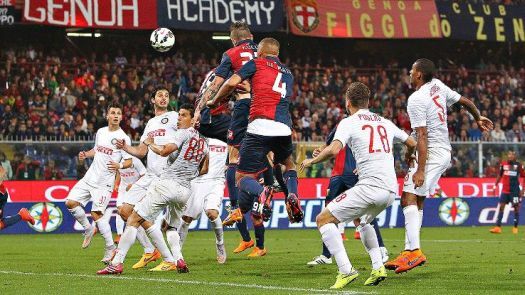 After a great choreographie It was Genoa that started very offensive, but it was Icardi of Inter who opened the score: 0-1. After only a few minutes Pavoletti scored the equalizer with a great shot from just outside the penaltyarea. Our ex-player Rodrigi Palacio again gave Inter the lead but an error between goalkeeper Handanovic and defender Ranocchia gave Maxime Lestienne the chance to score his first goal in Serie A: 2-2. In the 2nd half bot teams tried to win but only Juraj Kucka succeeded in the 89th minute with a fantastic header behind Handanovic. The party started !